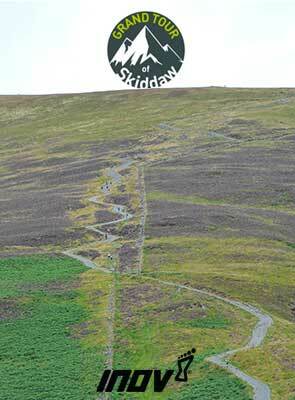 The race organisers are delighted to announce that inov-8 will sponsor The Grand Tour of Skiddaw 2014. 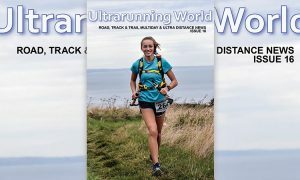 The second running of the Northern Lake District-based ultra trail race is set for the weekend of August 23rd/24th. The 44-mile ultramarathon sees competitors tackle 7,136ft of ascent, including a climb to the top of Skiddaw –England’s fourth highest summit – at around the halfway mark. The event starts and finishes at the impressive Lime House School, near Dalston. 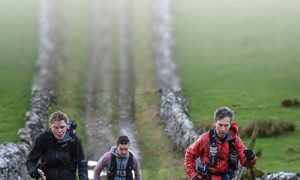 It follows main footpaths and bridleways, and provides fast trails through woods and fields to the open fells, before a challenging climb up Skiddaw, where competitors must ring the bell placed on the summit trig point. Then comes a stunning descent via Longside Edge, giving truly fantastic views of the Lake District. The Grand Tour of Skiddaw looks set to be one of the UK’s premier ultra races in 2014. Event Director Gaynor Prior said: “We are very excited to join forces with inov-8. 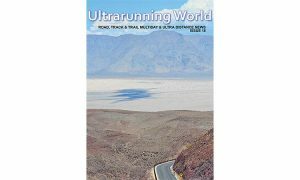 “Their range of lightweight footwear, all with outstanding grip, and fantastic kit are perfect for running longer distances in the hills. This year will see inov-8 launch a new Race Ultra series of products. The first in the range is the Race Ultra Vest (new for February), which has just been named an ISPO Award Gold Winner by the world’s leading international sports business trade show. More products, including the exciting new inov-8 Race Ultra 290 shoe, will follow later in the year. inov-8 founder Wayne Edy said: “As a brand, we are for the committed athlete who pushes boundaries, and that is exactly the bracket that ultra runners, like those doing The Grand Tour of Skiddaw, fall into.